Naomi Shihab Nye uncovers poetry in the everyday, an art practiced in Richard Linklater’s coming-of-age classic, Boyhood. Naomi found herself “living inside” the movie — seeing her daydreaming-childhood-self and life as a mother on screen. 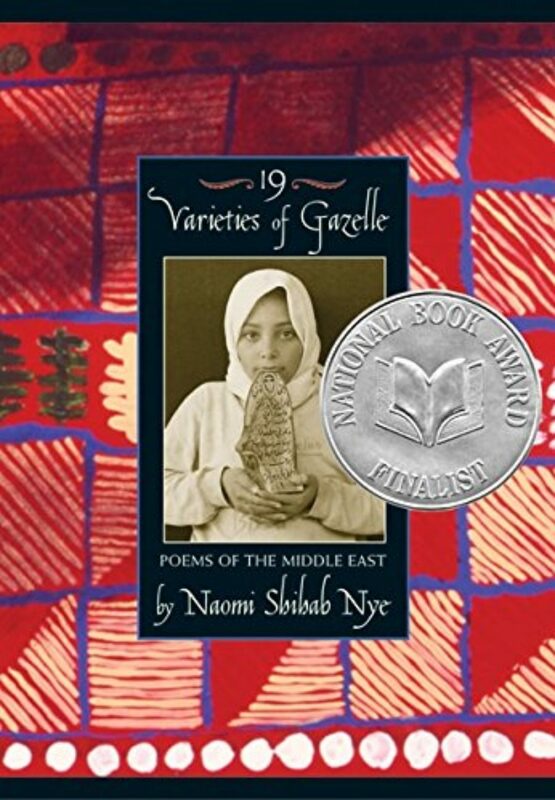 Naomi Shihab Nye is a visiting poet all over the world and a professor of creative writing at Texas State University. Her books include 19 Varieties of Gazelle, A Maze Me: Poems for Girls, and Transfer. Her most recent book is The Tiny Journalist. Lily Percy, host: Hello, fellow movie fans. I’m Lily Percy, and I’ll be your guide this week as I talk with the amazing poet, Naomi Shihab Nye, about the movie that changed her life: Boyhood. If you haven’t seen the movie, you should; but it’s okay if you haven’t. Don’t worry. We’re gonna cover everything you need to know in order to follow Richard Linklater’s masterpiece. Ms. Percy: The first time that I saw Boyhood, I had this feeling that Richard Linklater had been reading my diary. 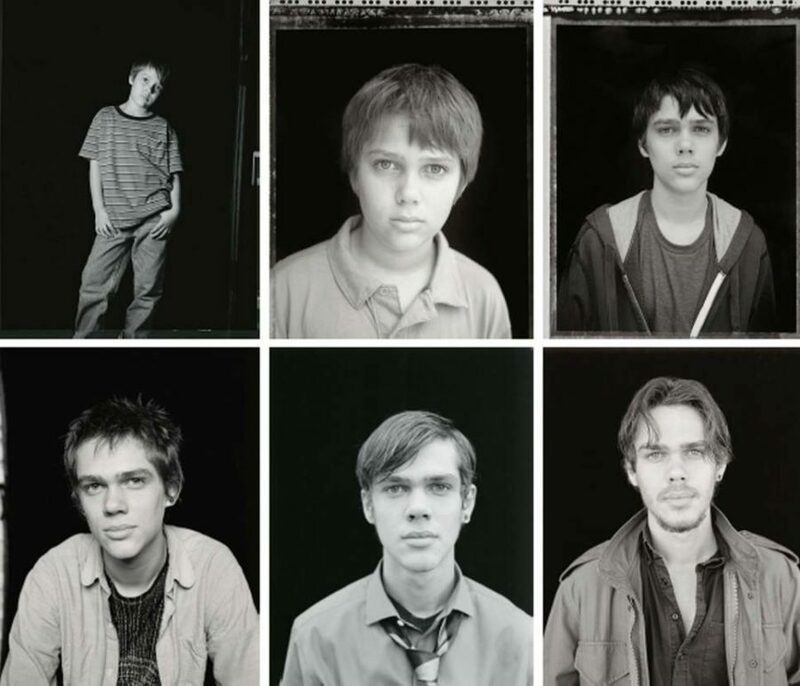 He clearly had been with me all through childhood and teenage years — all of the stress, the emotional rollercoasters, the pain, the sorrow, the loneliness — and somehow, he had captured it in this epic movie called Boyhood. 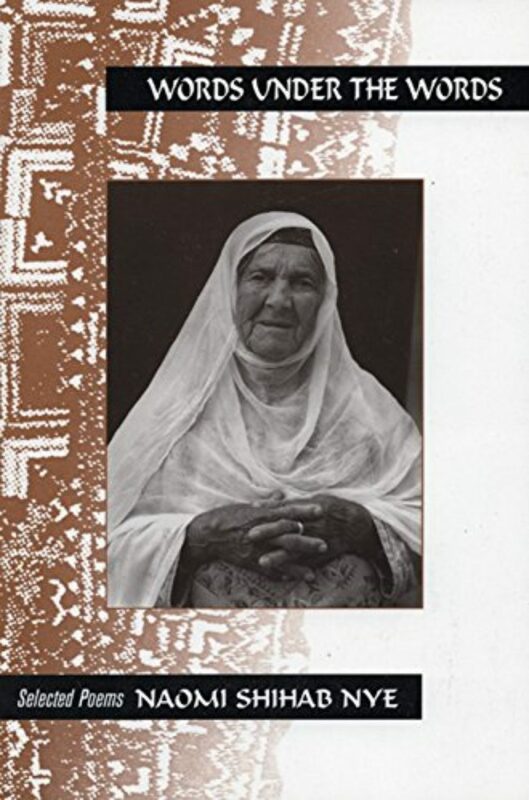 It’s a movie that defines a generation, and even though Naomi Shihab Nye and myself have about 30 years in-between us, it’s defined her and changed her life. Naomi is one of my all-time favorite poets — and one of my all-time favorite people, really. And I spoke with her at a live This Movie Changed Me interview in Scotts Valley, California. So here are two clips that we’re gonna watch to give you a sense of what Boyhood is, and I’d just love for you to carry them in your mind as we talk about the movie. Ms. Percy: So I know you wanted to read a poem that you were inspired to read because of this movie. Naomi Shihab Nye: Yes — thank you all for coming. And I’m so excited to get to do this with Lily. No one asked me to talk about a movie in front of an audience since I was in college and took a full-semester Ingmar Bergman class. Ms. Percy: Oof, that’s intense. I think it’s that phrase, “time’s unfolding,” because there is such incredible magic in the unfolding of these characters over 12 years. And of course, that’s something that created a great stir of anticipation before many of us saw the movie. Ms. Percy: Exactly, just that idea that you’d be watching this real time elapse. Ms. Shihab Nye: Just that concept; that these are gonna be the same actors, and you’re gonna see them over a 12-year span, and that Rick Linklater would have the gusto and the ambition and the vision to think he could do that, and then do it so effectively. Ms. Shihab Nye: I love movies. I love them very, very much. Ms. Percy: So I wonder if you would just talk a little bit about that. Where does your love of movies come from, and what role have they played in your life? Ms. Shihab Nye: Well, movies are images; they’re image-based. And poems are images, and poems are stories, and movies are stories. So there’s this fascination with what is chosen to be written and what’s chosen to go on the screen. And as a poet, I have a real belief in the tiny increment — the tiny phrase, the few lines that can change someone’s life, the lines you memorize in second grade and carry around forever. 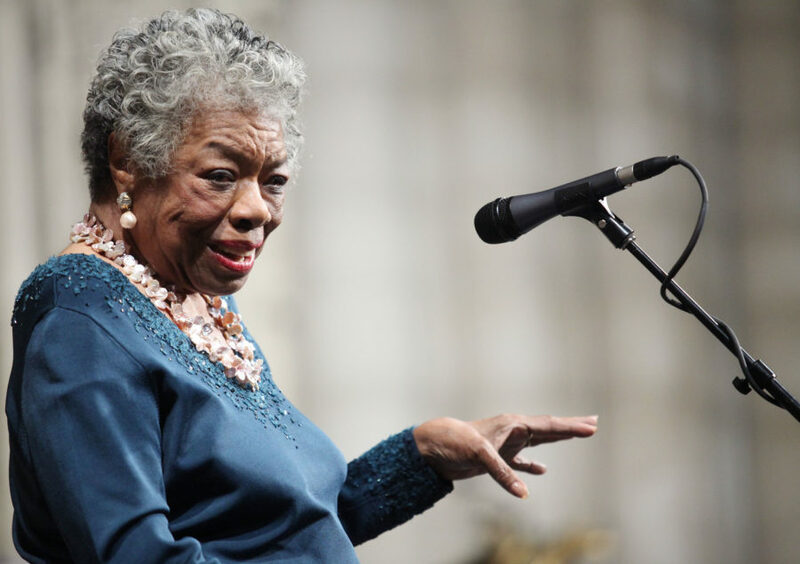 And when I was 20 years old, a painter in Canada said to me, in a kind of nonchalant, dismissive way, “Well, of course, you would like poetry, because poetry is — of all the arts, it’s the closest to the way people think.” And I felt like she was sort of saying — my art was being dismissed, the thing I loved the most, because it was just this kind of humdrum, normal, everybody who thinks has poems inside themselves all the time. But the more I thought about it, I thought she was right. We are carrying these poems. Your mind does not work like a novel. It works in flashes, leaps, images. And movies do too. Ms. Percy: So — yeah, go on. 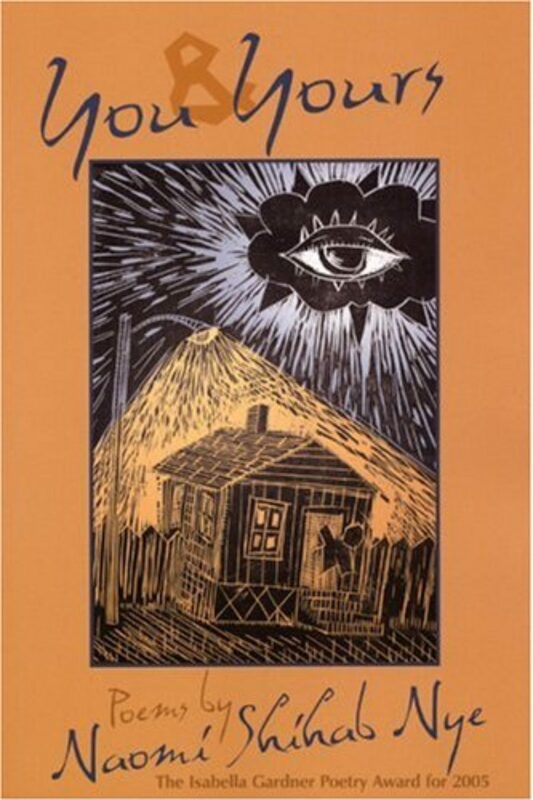 Ms. Shihab Nye: …daily life, ordinary life, the little, random conversation — I’m thrilled that scene was picked where Samantha, Lorelei Linklater, says, “No, I don’t remember all that stuff you remember,” because, I think, for many of us, the poems we write come out of the things that only we remember. We are the only witnesses, even though we know there were other people present. Ms. Shihab Nye: They do not remember them in that way. Ms. Percy: And, also, that we don’t always remember the happy moments. Ms. Shihab Nye: Right; no, not at all. Ms. Percy: We are very selective in our memory. 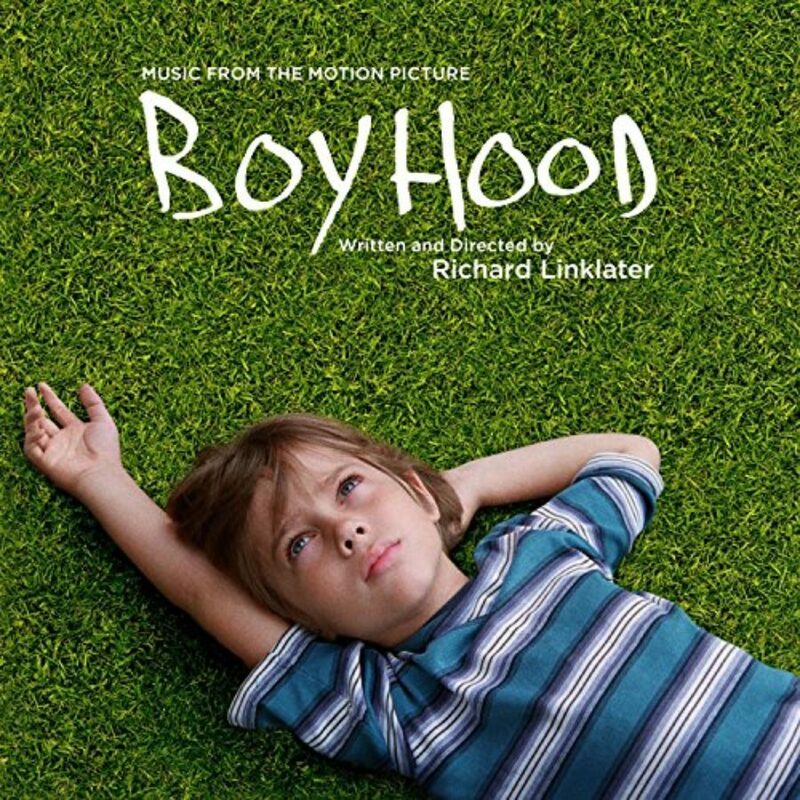 Ms. Percy: So I’d like you to think back to the first time you saw Boyhood and what was going on in your life, your first impression of it, even how old you were. Ms. Percy: I should say, you live in San Antonio, Texas. Ms. Shihab Nye: I live in San Antonio; he lives in Austin. And so everybody knew the movie was coming out, and it was based in Texas. And it’s the only movie I think I’ve ever gone to with 13 people — 13 family members. And that in itself seemed weird. I have never even been to a movie where I’m gonna be sitting in a whole row with all these family members. Ms. Shihab Nye: Yeah, we did — cousins, nieces, son. Ms. Percy: And what was it about this movie, other than it being in Texas? Ms. Shihab Nye: Well, because we love Richard Linklater, and we love others of his movies, and we were fascinated by this concept of the timeframe, -span. And it’s two years since the last time I watched it. And I think, with the current moment in history, I saw it very differently. It felt — a lot of the things felt different. A lot of the comments, the phrases that I knew were coming, I just heard them differently. And I wrote down a couple. Ms. Percy: Yeah, please do. Ms. Shihab Nye: I’m trembling. I’m excited about it. And so things like that, where you realize history has changed. And also, the bravery, I felt, of Rick bringing politics in, and the way that he brought politics in, multiple times through the film. In a scene later, when he asks the Iraq War veteran, “So what do you think” — or, when a character asks, “What do you think it really was all about?” and the guy says, “Oil.” And he’s the one that’s been over there three times and fought or whatever. And just the way Rick wove that in, I thought, was amazing. Ms. Percy: He wove in all these important moments in our lives. One of my favorite scenes is when you see the kids going to get the last Harry Potter book, which was — for anyone who did that, it was such a touchstone of your life — and just to see those joys, and the lows, of a life. Ms. Shihab Nye: Right, and you identify with it. And whether or not you ever spent any time in Texas or your parents were divorced or anything like that, there are so many ways that you start seeing your own life. I think your memory changes after experiencing this movie, because you start looking back on these scenes. And I just so related to that, that I felt invested; and I became him, in that one little moment. And I think a lot of people feel that in different — you feel as if you’re the kids in the movie; you’re the parents; you’re aging — there are so many angles that you could enter into the memory that is your own, as well. Ms. Shihab Nye: Right, so the scene in the darkroom, when the darkroom teacher is really putting him on the spot, as a teenager. Ms. Percy: And Mason is a photographer. Ms. Percy: He’s basically telling him he’s going to fail in life. Ms. Shihab Nye: Yeah. And how many of us had that conversation with more than one teacher? And it’s so heartbreaking and so familiar, as well. Ms. Percy: One of the biggest lessons, for me, in watching Boyhood, is the importance of being present — to the world around you, but to those little moments that make up a life, the little moments we often aren’t seeing. Ms. Shihab Nye: Paying attention. Ms. Shihab Nye: I’d love to. I haven’t read that poem in a long time. This has a reference to the Hokey Pokey. Ms. Shihab Nye: Does anyone remember that? I don’t even know; do they still do that in P.E. anymore? Ms. Percy: They did, when I was in P.E. Ms. Shihab Nye: Oh, wow, okay. So it has a quote from that verse of the Hokey Pokey. Oh, that’s like the characters in the movie. Oh, thanks. Thank you. That gives me goosebumps. Thank you so much for making that connection at all. And think about — just think about what an act — because I do a lot of poetry workshops. People often talk about the risk involved and the act of belief, like jumping into the page. Hey, that’s nothing compared to making a 12-year movie. Ms. Shihab Nye: I think, to jump into a blank page — who cares? So you don’t like what you come up with on the blank page? Tear it out and cross it out; turn the page. And that is fascinating to me too, because a lot of people are worried to write today’s poem, because they don’t know what next month’s poem might be. Who cares? You’ll know then, if you do it now, you know? Just start working on it. Ms. Shihab Nye: And to me, that is such an act of faith and belief in your art, that you would do that. Ms. Percy: This movie — one of the characters in it really is Texas. And I’m just so curious, as someone who has lived in Texas for so long, and you have such love for Texas, what you learned about it; maybe something that surprised you. Ms. Percy: Yeah, it really is. Ms. Percy: But by the people. Ms. Shihab Nye: …but by the people, yes. Ms. Percy: I feel like, watching the movie, it reminded me of how big Texas is. But I also think that the spaciousness of Texas is what makes the people so spacious and so open. Ms. Shihab Nye: Yeah, and I did feel that that attitude was present, and also, the optimism. I feel like the mom is hopeful through the movie; she has to keep reinventing herself and keep moving. And I moved, as a child, many times too, and across the ocean — lived in Jerusalem and moved back; and my parents randomly picked Texas, kind of out of a hat, out of a newspaper. And then the mother gets mad at her and says, “Get in the car and stop talking to the…” like that. But I love her expression. And I just so identified, as a child who spoke to stuff and to plants and trees and things, and still do — I so identified with that moment; the departure, the letting go. Ms. Percy: I love that. Ms. Percy: One of the things I love the most about the movie is how often it shows the reality of change. And I think, in a lot of ways, the movie could’ve shown their childhoods as being unstable. But it never passes judgment on it. Ms. Shihab Nye: Right; no. Ms. Percy: It just presents it as it is; and it actually is beautiful, as a result. Ms. Shihab Nye: Right, it doesn’t pass judgment; it doesn’t explain. It honors these unobtrusive, quiet moments, these little scenes, and it holds them. And it connects them. The thread of time is the connector, and also the fact that you’ve fallen in love, pretty much, with those four main characters by the time you’re an hour in, or an hour-and-a-half in. You just want to know what — how this will unfold. Ms. Percy: So going back to this book, A Maze Me, which, if you guys don’t own, you have to buy it; it’s so good. Ms. Shihab Nye: Thank you. Ms. Percy: I think one of the reasons why I love it so much, apart from the fact that I still have such a little girl in me, like we all do, is because you capture so perfectly the moments of vulnerability and awkwardness and confusion that comes in childhood. And I was reminded of this book, when I watched the movie again in preparation to talk with you, and especially, the end lines of your introduction. I’d love for you to read them. Ms. Shihab Nye: Wow, I have no idea what they are. Let me see what they are, the end lines. Ms. Percy: [laughs] You’ve written so much, you don’t remember anymore. Wow, thank you. I’ve never read those lines out loud in my life, ever. Ms. Percy: Oh, I love it. Ms. Shihab Nye: That’s so sweet of you, Lily. Thank you. But I do feel comforted by that fact of lines — if you write your lines, that you will be given what you need, as, in this movie, I felt comforted that there was a movie that felt so close to real life that I would always think about real life differently. Ms. Shihab Nye: Yeah, I love them. I love — I didn’t know; I’d never read before that Richard Linklater got Ethan Hawke to promise him that if he died, that Ethan would finish the project. Ms. Percy: I didn’t know that. Ms. Shihab Nye: Yeah, I’d never read that in all my reading. Ms. Shihab Nye: And so they made some deal. Ms. Percy: Such was the commitment. Ms. Percy: That’s amazing. Well, I had another question, but actually, I think those are amazing last words. What I’d like to do instead is end with the last scene from Boyhood, which is such a gift. And I will say, re-watching this movie, getting ready to talk to you, I actually stopped it at every hour, because I didn’t want it to end. Ms. Shihab Nye: No, you don’t want it to end. Ms. Percy: And it’s the rare film that is three hours long that you’re stopping not because you’re bored, but because you just don’t want it to end; you don’t want that experience to end. Ms. Shihab Nye: Thank you all so much for coming in here. Ms. Percy: So thank you. And watch that last scene. Ms. Shihab Nye: Thank you, Lily. Such an honor to get to talk to you anywhere. Ms. Percy: Always, but especially about Boyhood. Ms. Shihab Nye: Especially about Boyhood. Thank you all. Ms. Shihab Nye: Thanks so much. We’ll watch the last scene. 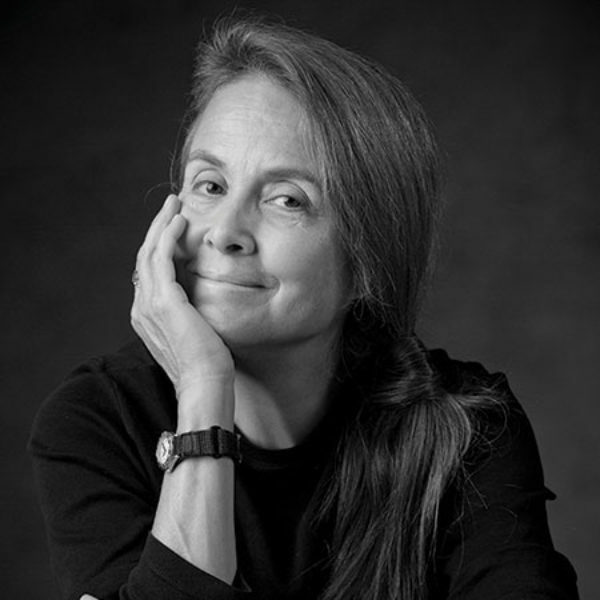 Ms. Percy: Naomi Shihab Nye is a badass visiting poet, all around the world, and a professor of creative writing at Texas State University. 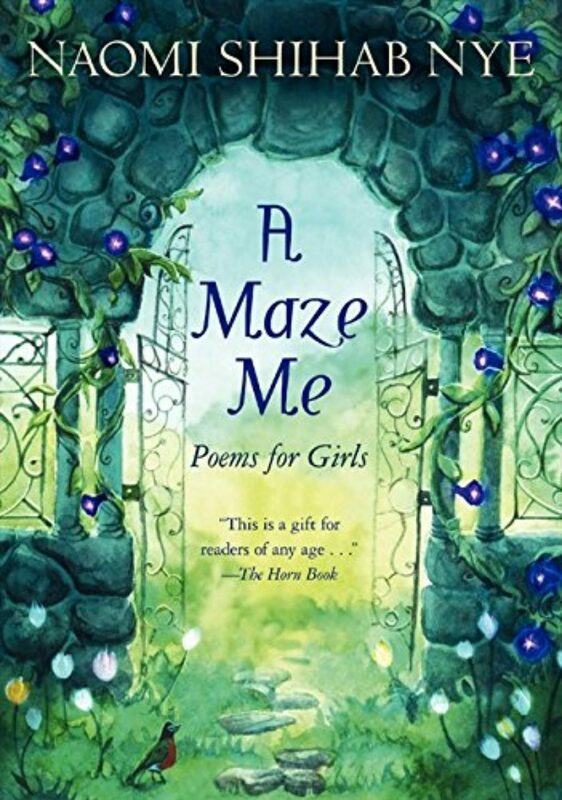 I love her book A Maze Me: Poems for Girls. It’s one that I go back and read almost every week. And you should definitely check out her newest one too, Voices in the Air: Poems for Listeners. Next time, we’re going to be talking about the Barry Levinson movie Avalon. You’ve got two weeks to check it out before our next conversation. And you can find it on all the usual streaming sites, or at your local library. We love libraries. This Movie Changed Me is produced by Maia Tarrell, Chris Heagle, Marie Sambilay, and Tony Liu, and is an On Being Studios production. Subscribe to us on Apple Podcasts, or wherever you find your podcasts, and if you get a chance, leave us a review. Shout-out this week to Laura_Sweet_B for her review — we’re also hopeless romantics, so thanks for listening, Laura. I’m Lily Percy. Now stop listening to this podcast and go watch Boyhood again.